The government has incorporated the recommendations of the 7th Pay Commission on HBA. HBA limit has been hiked to Rs 25 lakh, according to 7th pay commission recommendations. Based on the recommendations of the 7th pay commission, the central government has revised the House Building Advance (HBA) rules for central government employees. 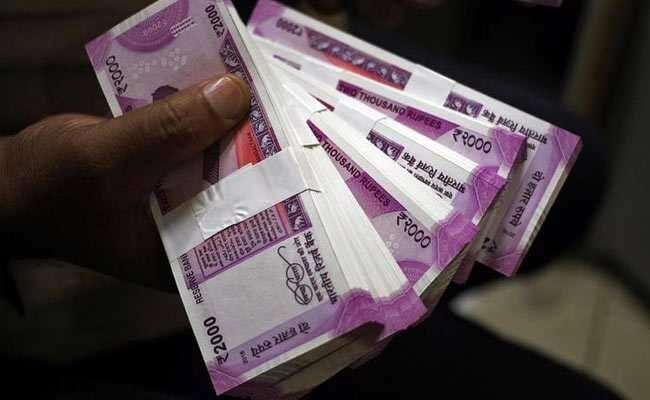 The total amount of advance that a central government employee can borrow from government has been revised upwards, according to the recommendations of the 7th pay commission. "This is expected to incentivise the government employee to buy house/ flat by taking the revised HBA along with other bank loans, if required. This will give a fillip to the housing infrastructure sector," the government said in a statement. This will benefit nearly 50 lakh central government employees. The Cabinet had earlier approved the recommendations of the 7th pay commission to enhance the ceiling of house building advance from Rs 7.5 lakh. 1) Now, a central government employee can borrow 34 months of the basic pay subject to a maximum limit of Rs 25 lakh, or cost of the house/flat, or the amount according to repaying capacity, whichever is the least for new construction/purchase of new house/flat. Earlier this limit was only Rs 7.50 lakh. 2) The HBA amount for expansion of the house has been revised to a maximum limit of Rs.10 lakh or 34 months of basic pay or cost of the expansion of the house or amount according to repaying capacity, whichever is least. This amount was earlier Rs.1.80 lakh. 3) The cost ceiling limit of the house which an employee can construct/ purchase has been revised to Rs.1.00 crore with a proviso of upward revision of 25 per cent in deserving cases. The earlier cost ceiling limit was Rs.30 lakh. 4) If both spouses are central government employees, are now eligible to take HBA either jointly, or separately. Earlier only one spouse was eligible for House Building Advance or HBA. 5) Employees can migrate from home loans taken from financial Institutions/ banks to HBA, if they so desire. The provision for availing 'second charge' on the house for taking loans to fund balance amount from Banks/ Financial Institutions has been simplified considerably. 'No Objection Certificate' will be issued along with sanction order of HBA, on employee's declaration. 6) The rate of Interest on Housing Building Advance shall be at only one rate of 8.50 per cent at simple interest (in place of the earlier four slabs of bearing interest rates ranging from 6 per cent to 9.50 per cent for different slabs of HBA which ranged from Rs.50,000 to Rs.7.5 lakh. 7) The rate of interest on HBA will be reviewed every three years. All cases of subsequent tranches/ installments of HBA being taken by the employee in different financial years shall be governed by the applicable rate of interest in the year in which the HBA was sanctioned, in the event of change in the rate of interest. 8) HBA is admissible to an employee only once in a life time. 9) Recovery of HBA: The methodology shall continue as per the existing pattern - recovery of principal first in the first fifteen years in 180 monthly instalments and interest thereafter in next five years in 60 monthly instalments. 10) The clause of adding a higher rate of interest at 2.5 per cent (two point five percent) above the prescribed rate during sanction of House Building Advance stands withdrawn. Earlier the employee was sanctioned an advance at an interest rate of 2.5 per cent above the scheduled rates with the stipulation that if conditions attached to the sanction including those relating to the recovery of amount are fulfilled completely, to the satisfaction of the competent authority, a rebate of interest to the extent of 2.5 per cent was allowed.